"A vehicle simulation game that allows the player to drive an articulated truck around a depiction of Europe." 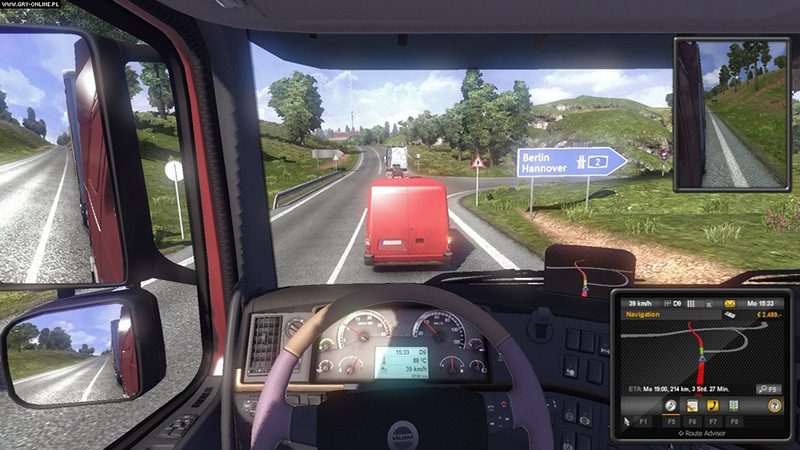 A vehicle simulation game, Euro Truck Simulator 2 allows you to drive through a depiction of Europe in an articulated truck picking up cargo from various locations and delivering it. The game was developed by SCS Software and was released as open development on October 19, 2012. Euro Truck Simulator 2 is a direct sequel to the 2008 game release, Euro Truck Simulator and is the second installment of the series. In Euro Truck Simulator 2, you choose your starting city from various locations in Austria, Belgium, Czech Republic, Germany, Hungary, Italy, Luxembourg, Netherlands, Poland, Slovakia, Switzerland, and the United Kingdom which is where you will start out in the game. At first, you can only take quick jobs and you must make deliveries with the truck and fuel you are provided. As you progress through the game and make money, you can buy yourself a truck, a garage, and make more money with your own truck rather than a truck you are given. After each delivery, you gain experience and skill points which can be used to unlock new deliveries and jobs, as well as ADR classes, longer distance deliveries, special cargo loads, fragile cargo loads, urgent deliveries and eco driving. As you progress and earn more skill points, you do jobs that earn you more money so you can buy better trucks. If you are a fan of trucking across Europe and want to try out a simulation, or just play the game for fun and burn time, try out Euro Truck Simulator 2 with this demo that is available to you here.